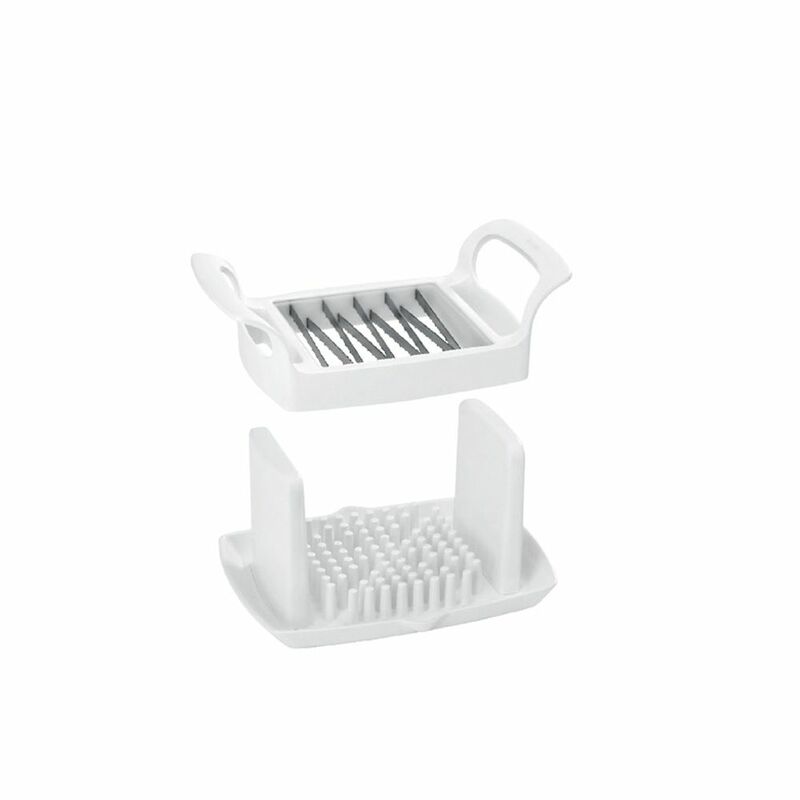 Slices quickly, neatly and effortlessly. Features a wide anti-slip base, suitable for large ingredients. Includes a safe and firm grp and practical spouts to remove liquids. To prepare in a moment perfects slices for salads, sandwiches, hamburgers and more! Slicy Tomato And Cheese Slicer Counseltron series of professional kitchen gadgets and housewares. For professional chefs. The ultimate collection of main kitchen tools such as ladles, spoons, turners and skimmers; essential gadgets like peelers, can openers, corkscrews and graters to sophisticated utensils like tea spoons and serving sets. A complete assortment for every need at the table and in the kitchen.